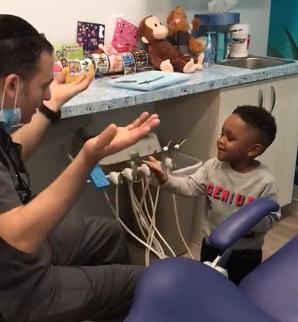 It is important to ensure that kids are at ease with the doctor or dentist or any other service provider to ensure that they don’t feel too scared about any procedure they might have to undergo. One dentist ensures that his patients are at ease with him by making them laugh and enjoy his magic tricks! Dr. Eyal Simchi is a dentist at Riverfront Pediatric Dentistry in northwestern New Jersey. Because he specializes in kids with special needs, he has to make sure that they are happy in his clinic and that they are not scared of him. To achieve this, Dr. Simchi sings to his little patients or performs magic tricks to keep them happy. 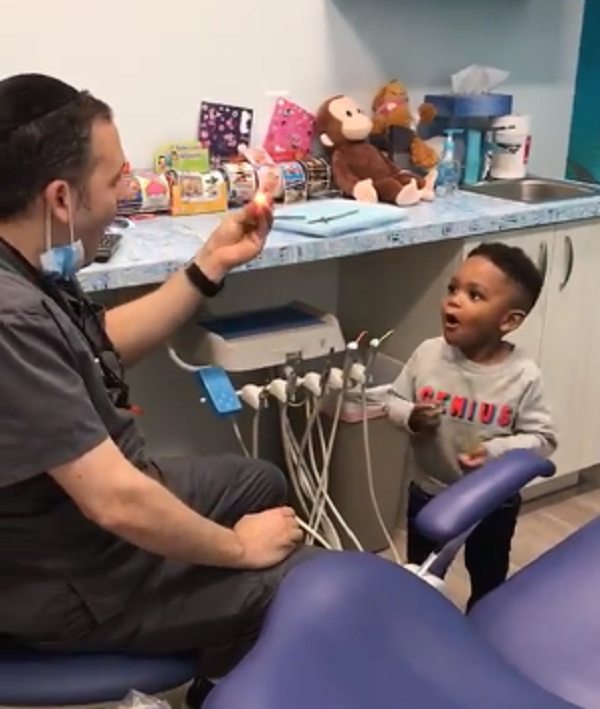 In one video that has recently gone viral, Dr. Simchi pulled light bulbs out of his little patient’s ears and chin, making the boy squeal with delight. 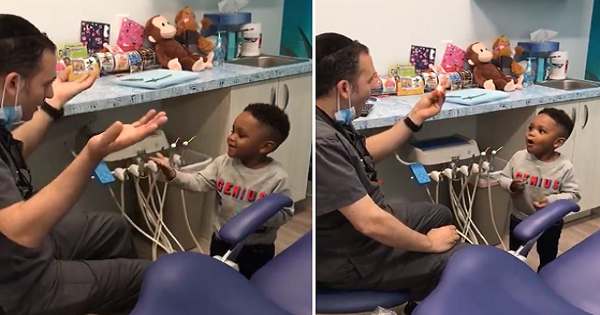 The dentist earned praise on social media at the way he makes the little boy feel happy. But the boy wasn’t the only one delighted with this doctor’s magic tricks. In fact, the internet also loved the video so much that within a week after it was posted on Facebook, the clip has gained over 19 million views! Can you believe that? A lot of people have started asking whether he accepts adult patients as well. “Omg!!! Is this dentist accepting new patients? Also, I’m 40 so I hope that the “pediatric” part isn’t strictly enforced 🙂” wrote one woman. Many were disappointed when he said he only accepts kids at this time. “Unfortunately we only treat kids and patients with special needs. My assistant keeps a list of the adults who are trying to sneak in,” Dr. Simchi replied. LOL. What can you say about these tricks?